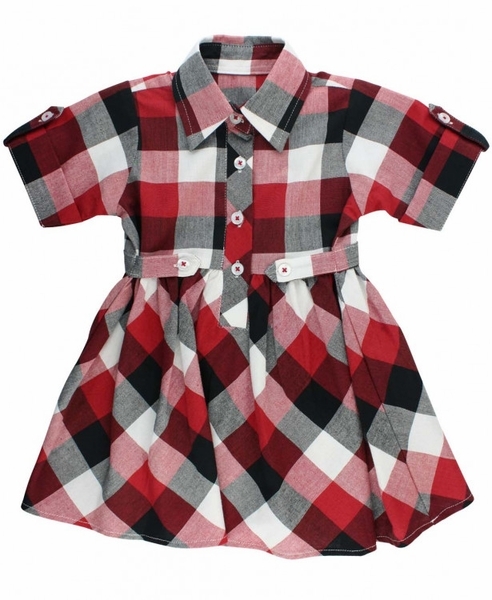 She'll be cute as a button in this plaid shirt dress! 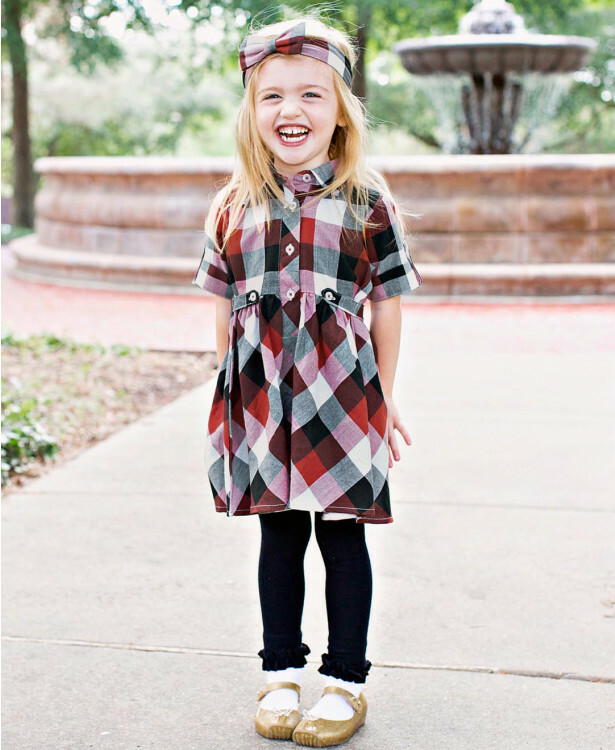 This short sleeve dress makes the perfect outfit for holiday events and family photos. Pair with the matching headband for a trendy and complete look!